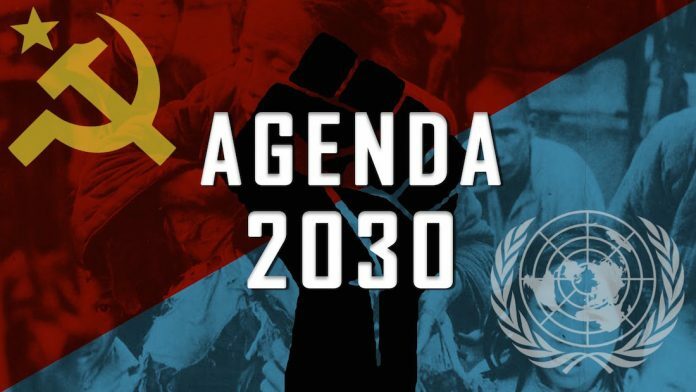 The UN have unveiled their masterplan for the next 14 years – saying that they wish to implement global socialism and corporate fascism as part of their “Agenda 2030” plans. Part of their plans, officially dubbed “Post-2015 Sustainable Development Goals,” aims to reduce inequality worldwide by forcing individual governments and citizens alike to share their wealth under the guidance of a one world government. In simpler terms, Western taxpayers should prepare to be fleeced so that their wealth can be redistributed internationally as their own economies are cut down to size by Big Government. Of course, as has been the case for generations, most of the wealth extracted from the productive sector will be redistributed to the UN and Third World regimes — not the victims of those regimes, impoverished largely through domestic socialist/totalitarian policies imposed by the same corrupt regimes to be propped up with more Western aid under Agenda 2030.